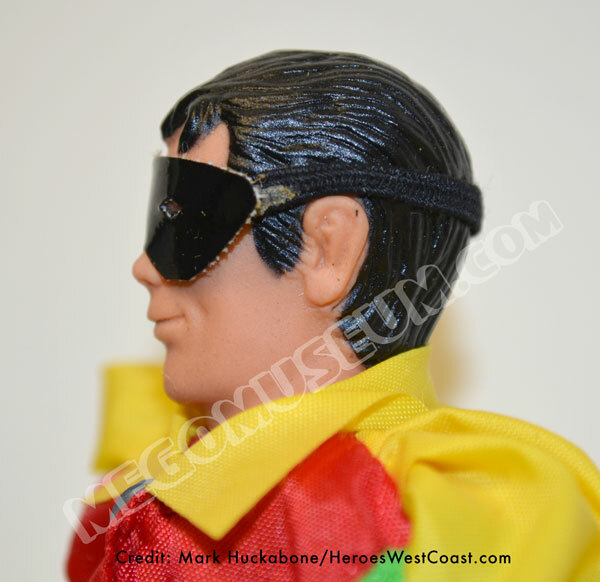 One of the first four heroes created for the Mego World’s Greatest Super heroes line released in the winter of 1972, this solid box was phased out in early 1973. 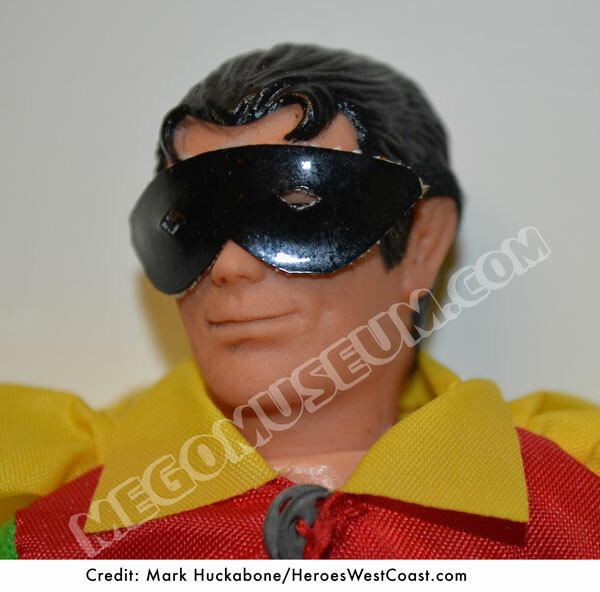 Removable Mask Robin was sold a short time after that in window boxes (6 panel mixed) and 1st Issue Mego and Kresge cards before being phased out in favor of the painted mask version. 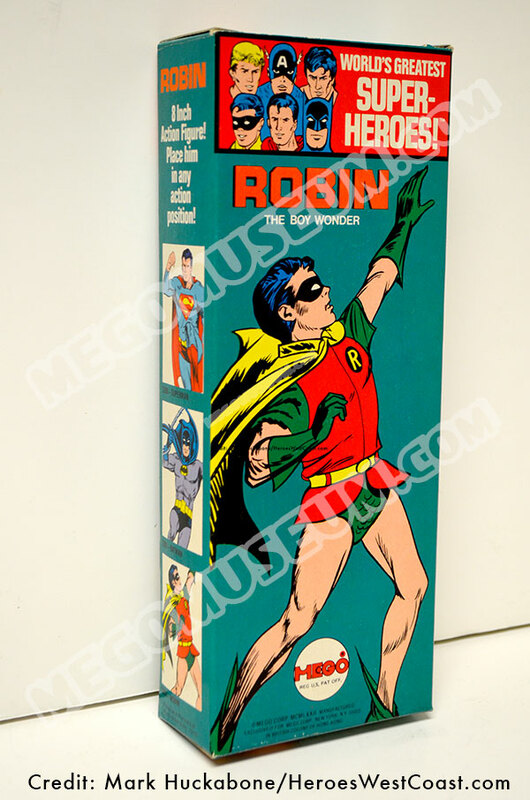 Mego Solid Box Robin. 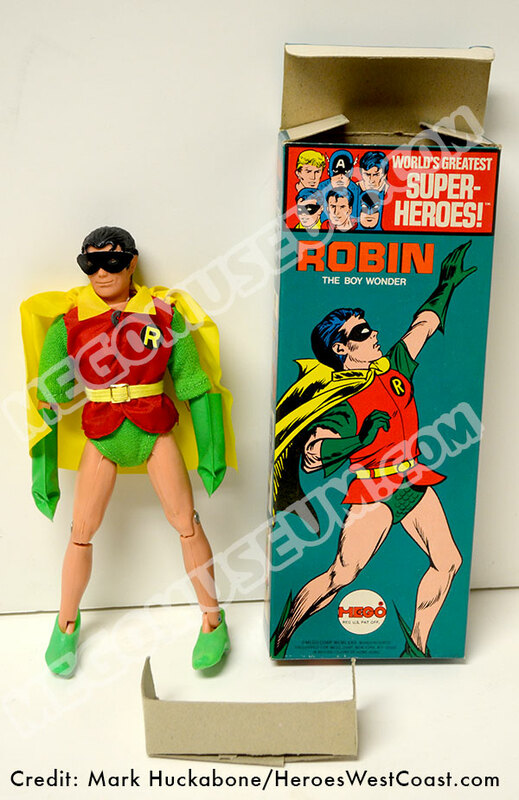 A flawless example of a Mego Solid Box Robin from the 1972 World’s Greatest Super Heroes line. When Superman is on the left, you know you are looking at the front of the box. Solid boxes came with a cardboard insert for the header, these are often lost. Note the shiny material on the mask and the strands from the inside backing fabric. This is a perfect example of the first issue Robin with unfaded color. 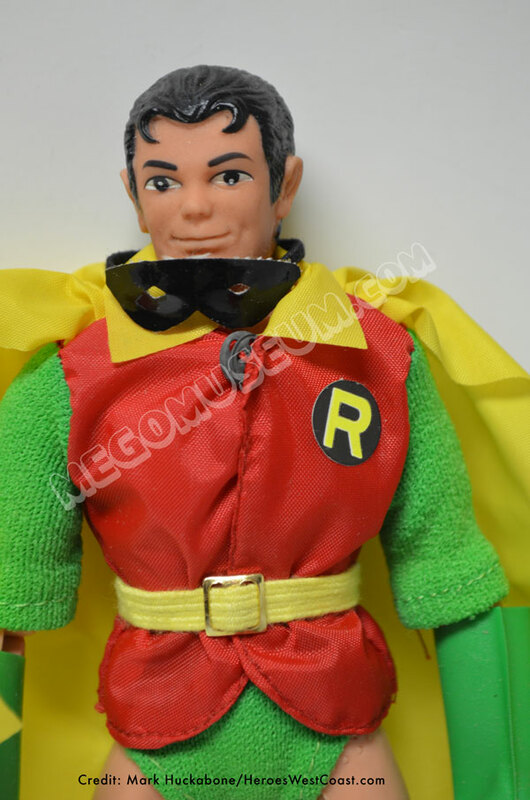 “Yellow sleeved” Robins were not manufactured, they are faded from the original green. Observe the glue holding the elastic to the mask.